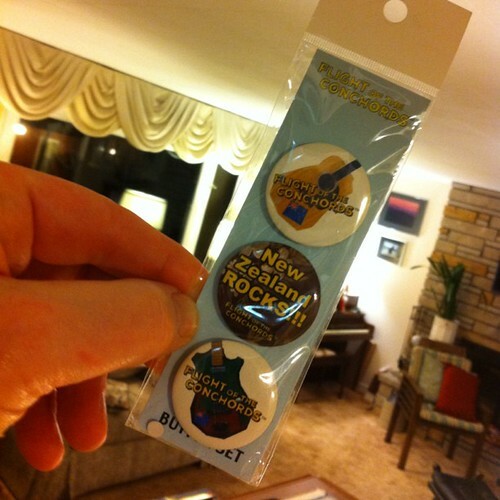 You find Flight of the Conchords buttons that you didn't know you had lost. Yay. 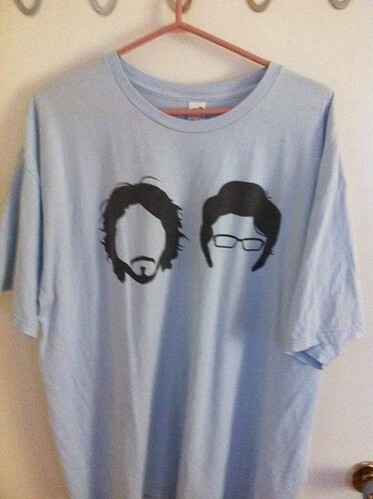 This T-shirt has a minimalist nod to Flight of the Conchords, which produced just two seasons of their musical comedy for HBO. I bought it a while back from TeeFury; among other things, wearing it is a great way of finding out who watched the show. My friend Ted posted this to his Facebook wall, a slice of Brady-era hilarity. Not sure if you'd be feeling more than "expert tailoring" with that denim; I wondered if blood flow might be restricted to the limbs. My mind sifted the word "Rappers" and "feelings," and I remembered this bit of Conchord-era hilarity. Well, if nothing else, it's an excuse to play this again.